Smart, energetic, result-oriented Insurance Sales Personnel with proven track record required for Orient Insurance (Al Futtaim Group) on Salary + excellent commissions/ incentives. Openings available across all emirates for Insurance Advisors & Development Managers with ample growth opportunities for performers. 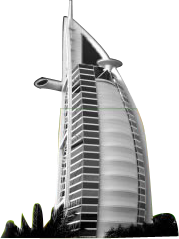 Based in Dubai, Optima LLC is a renowned brokerage company specializing in insurance products. Due to business growth there is an immediate requirement for an experienced Assistant Manager Compliance to join the business. Must be comfortable saying “no” when necessary and be result-oriented. We are looking for a competitive Insurance Broker to partake in our business development activities. You will be responsible for finding new customers, promoting and selling our insurance plans. The goal is to steadily forge long-term relationships to secure the company’s revenues and growth. I am currently looking for a couple of Senior Sales Accounts Executives who should have very good experiences within Insurance Industry. The ideal candidates should have the following attributes to qualify for this role. · Should be based in UAE currently. · 3-5 years of experiences in Insurance Sales and Marketing in reputed Insurance companies in UAE. Great opportunity to make AED 15000 to AED 25000 may be more per month being part of a semi govt insurance company in Dubai. Visa will be provided to the eligible candidates. House wives who are on husbands visa can also apply. Recruitments are going on now.